How to Monetize your Twitch Stream - Affiliate Resources, Inc. Okay, so we all know the old school way of making some extra money, or even a full-time income, on Twitch. Of course, I’m talking about becoming a Twitch Partner. Yes, that illustrious title that many live stream gamers strive after, for a very long time, only to never see it come into fruition. This is because lack of funds, expensive equipment, and simple broken heartedness from never making a dime come into play long before many streamers ever hit the partnership requirements. Are there any options for making money on Twitch aside from becoming a partner? Thankfully there are, and if the changes that Twitch has been making are any indication, there are going to be a lot more ways for live streamers to make a buck in the future as well. What changes am I referring to? The big one is the fact that Twitch now offers streamers a way to make cash on the platform without having the insane requirements that partners have to meet. 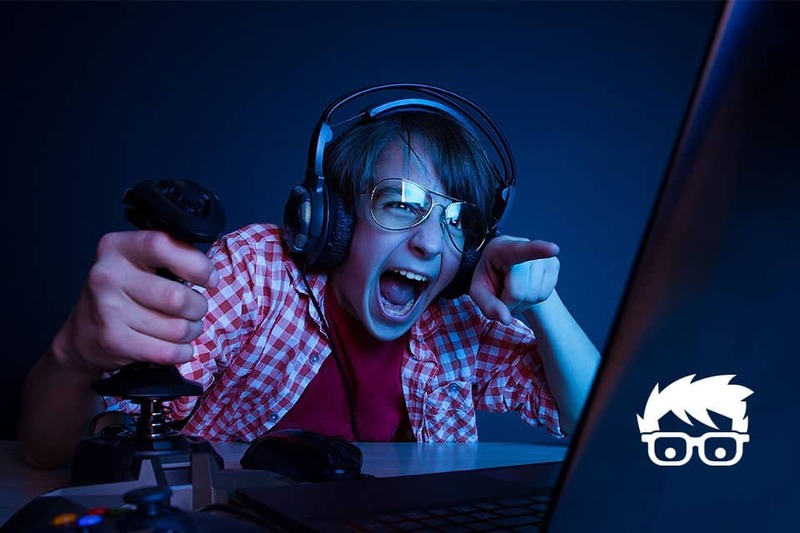 Welcome to the Twitch.tv Affiliate Program: a way for live streamers who aren’t quite established enough to become a partner, to earn a bit of money while they grow. What’s The Twitch Affiliate Program? I’m sure that’s the question that you’re thinking right now. What is the Twitch Affiliate Program, and how can it help you make money much faster than becoming a partner? Well, long story short, the Twitch Affiliate Program works very similar to YouTube’s monetization model. It allows you to start earning money from subscriptions and advertising long before you ever could as a partner. As a recent article over at The Verge put it, “the new affiliate program will let pretty much any interested streamer qualify to make money as they play.” They couldn’t have said it better either. Seriously….take a look at the easy requirements to becoming a Twitch affiliate. At least 500 minutes broadcast in the last 30 days – This is a whopping 8 hours and 20 minutes! There are casual gamers out there who can do this in a weekend. At least 7 unique broadcast days in the last 30 days – Again, if you just play on the weekends casually, you’ll hit 8. Easy stuff, right? An average of 3 concurrent viewers or more over the last 30 days – Come on, we all know 3 people. Just pay for pizza and invite them over for a couple of hours with their laptops and you’re gold. At least 50 followers – This one is the most challenging on the list, in my opinion. Honestly, this really isn’t even that big of a challenge, however. Shoot out some social invites on Facebook or Twitter and your great aunt Gertrude’s extended family will fill up those slots pretty quick. Don’t believe that it can really be that easy? Well, take a look at the screenshot below straight from the Twitch requirements page. That’s right, it’s exactly what we just talked about. Game. Set. Match. Getting a 5 kill streak bonus is a bit more challenging, I think. How Do You Make Money With The Twitch Affiliate Program? Okay, so now you know that meeting the requirements to join really isn’t too big of a challenge. How do you make that $$$ though? It’s pretty simple really, but there are a few ways you can make the dough. Subscriptions – Just like with the partner program, when someone pays for a sub, you make a little bit of money. The exciting thing…this really adds up as it’s a monthly fee. 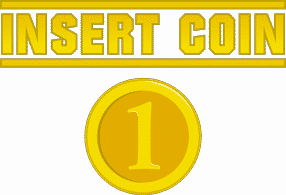 Cheering – Twitch uses a currency called bits, and basically, every bit is worth a US penny. Not too much, but when you’re getting hundreds of cheers every few minutes, this can add up fast. Game Sell Revenues – When viewers buy a game, or in-game items, or even Twitch crates, you get 5% of the sale. Doesn’t sound like that much, but think about how often you’ve snagged up premium in-game items. Admit it, those Candy Crush items add up quick and hurt your wallet even quicker. 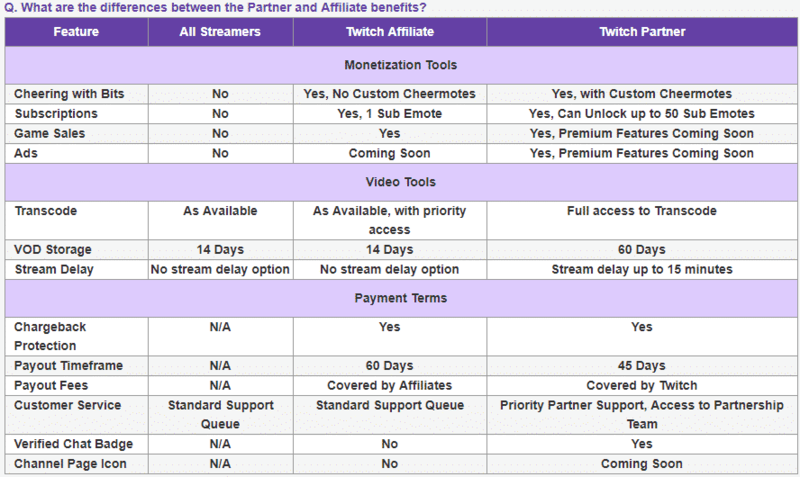 There really aren’t that many differences between the Twitch Affiliate Program and the Twitch Partner Program. Basically, you only get one custom sub emote and no custom cheering emotes. That’s really not that big of a hinderance. The only other difference is that you do not have the ability to delay streaming, and it takes a little bit longer for you to get paid. In my opinion, none of these are deal breakers, and the program overall is a very nice introduction into making money live streaming. You can check out the image below to see a great side by side comparison of the partner program vs the affiliate program. Just got a sweet gaming mouse that is upping your kill streaks? How about that new graphics card that has more than doubled your FPS? Every gamer out there has their own preferred equipment. You can make money talking about it too. All you have to do is create affiliate links for the products that you’re using. You can sign up for an affiliate account at places such as Amazon, Best Buy, and Newegg, just to name a few. All of these places allow you to create links and earn a commission when someone makes a purchase. Once you’re approved for an affiliate account, all you need to do is simply create a list that says something along the lines of my gaming rig, what I’m playing with or my gear. While it sounds simple, your viewers are intrigued as to exactly what you’re running with that is making your game look so much better than theirs. Once they check it out, they may make a purchase, and pretty soon you’ll be earning commissions on a constant basis. Okay, so if you’ve been on Twitch for any time at all, then you know how important donations can be in order to make money. We see them flashing all the time, and a lot of streamers even put their top donators right there on the screen in front of your face. You can do the exact same thing by simply tossing up a link where viewers can make a donation to support your gaming efforts. Many streamers use PayPal for this, but after all the recent Twitch trolling that has been going on, I have to make a completely different recommendation. Personally, I recommend if you’re going to collect donations, then you should use a system like the one offered by Patreon. It works, and best of all, many Patreon donations are made on a per content released basis. For you, this means that you’re going to make a little bit of scratch every single time you start a new stream. As more people make donations like this over the platform, you will soon find that every stream you do earns a little bit more money than the last. All in all, it’s a great way to start generating some serious passive revenue. As you can easily see above, there are more than just a few ways that you can monetize your Twitch stream. Now, thanks their new affiliate program, it’s easier than ever before. If you’re really serious about taking your online money making game to the next level, then you really need to check out my top recommended online training that will teach you how you can go from Twitch to your own online business in a matter of weeks. To learn more about managing your business, read Lee S. Rosen‘s blog. It’s like stepping from the amateur tournament at your local game shack straight into the MLG arena. why don’t you allow printing of this article? Only page 1. I am doing research as my g-grandson wants to do this. It’s great to see that you are helping out your grandson! I tested it out and was able to print out all the pages. Perhaps just email him the link to this article.